Viewing 24 of 93 items. 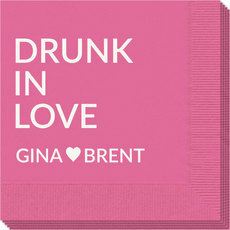 Set of printed beverage napkins with the mon cherie heart logo as shown with your personalization. You select napkin color and imprint color. Positioning and typestyle only as shown. 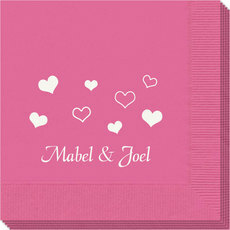 Additional..
Set of guest towels with corner layout and mon cherie heart design positioned in the right corner as shown. You select the guest towel color and imprint color. Quality 3-ply thickness. 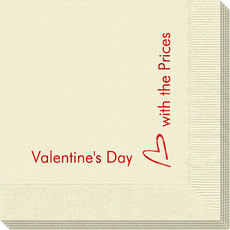 Approximate..
Set of quality 3-ply beverage napkins with your choice of napkin color, typestyles and imprint color. Napkins and imprint colors are available in many sizes. Quality 3-ply napkins you'll be proud to.. Celebrate your special day with this set of printed napkins. Your choice of napkin color, and imprint color. Napkins and imprint colors are available in many sizes.Quality 3-ply napkins you'll be.. Celebrate your special day with this set of printed guest towels. Your choice of color, and imprint color. Quality 3-ply guest towels you'll be proud to use or give. 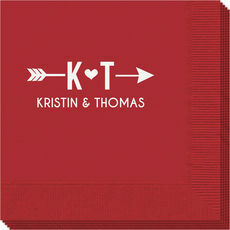 Typestyles and positioning only as..
Set of printed napkins featuring your 2 initials with arrow design. Your choice of napkin size, napkin color, imprint color, and positioning of personalization. 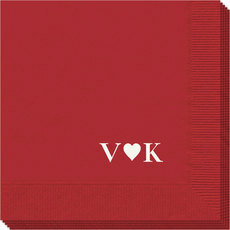 Quality 3-ply napkins you'll be proud..
Set of printed guest towels featuring your 2 initials with arrow heart design. Your choice of guest towel color, imprint color, and positioning of personalization. 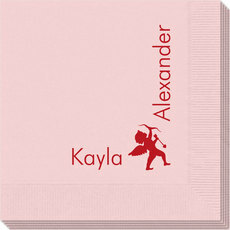 Quality 3-ply guest towels you'll be..
Set of printed beverage napkins with the cupid logo as shown with your personalization. You select napkin color and imprint color. Positioning and typestyle only as shown. Additional napkins sizes..
Set of guest towels with corner layout and cupid design positioned in the right corner as shown. You select the guest towel color and imprint color. Quality 3-ply thickness. Approximate size 4.5" x.. Celebrate your special day with this set of printed guest towels. Your choice of towel color and imprint color. Quality 3-ply thickness. Approximate size 4.5" x 8". Typestyle and positioning only..
Set of printed beverage napkins with two initials surrounded by our adorable heart design. Typestyle used for initials is only as shown. 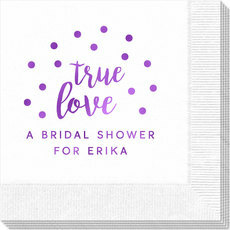 Includes up to 3 optional lines of text in your choice of..
Set of printed paper guest towels featuring your 2 initials with heart design between initials. Includes up to 3 optional lines of text in your choice of typestyle. Typestyle used for initials is only..
Set of quality 3-ply beverage napkins with your choice of napkin color, imprint color and typestyle of personalization. Napkins and imprint colors are available in many sizes. Quality 3-ply napkins..
Set of guest towels with your choice of napkin color, imprint color and typestyle of personalization. Positioning only as shown. Approximate size 4.5" x 8". Quality 3-ply guest towels you'll be proud..
Set of printed napkins featuring your 2 initials with arrow design. Your choice of napkin size, napkin color, imprint color, and positioning of personalization. Quality 3-ply napkins you'll be..
Set of printed guest towels featuring your 2 initials with arrow design. Your choice of guest towel color, imprint color, and positioning of personalization. Quality 3-ply guest towels you'll be..